The team at Omega Force is either extremely dedicated to the Musuo genre they created, or they're indentured to obey the demands of the market. Warriors games flood out with inevitable regularity, most of them grounded in some sort of reality. With their flagship franchise Dynasty Warriors lodged squarely in Chinese History, there's not a whole lot of wiggle room for fantasy. Sure, your Warlord can slaughter thousands of peasants over the course of a thirty minute battle, but he's still just a man. One Piece: Pirate Warriors 3, (available for the PS4, the PSVita, and the PC) however, throws a cast of super-powered weirdos on the battlefield, each abandoning any realism to create a symphony of delightful absurdity. Prior to Pirate Warriors 3, I possessed no reference to One Piece, either the manga or the anime. The only elements I had gleaned from the periphery was that the comic has been going on since basically the dawn of man, and that the main character was made of rubber. My co-op partner, however, adores One Piece as one of her favorite series, holding a dear reverence for the characters and their collective journey. Together, we set out to see just how the game played and treated the source material. 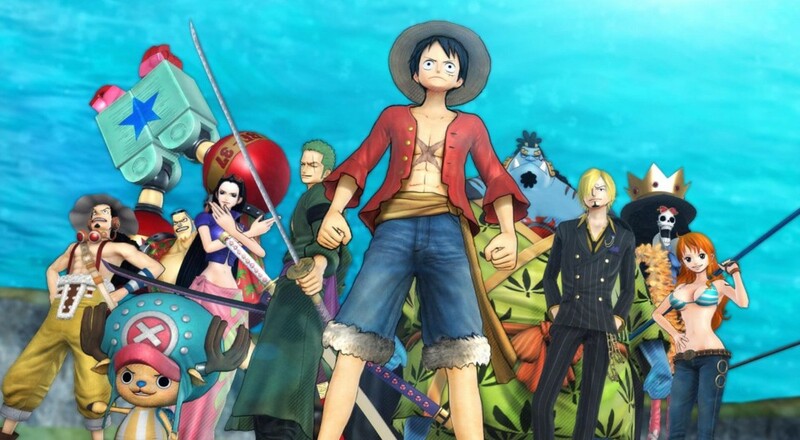 One Piece: Pirate Warriors 3 follows the plot of the manga, way back from the humble beginning of the series to a very recent arc, featuring flamboyant bad guy Doflamingo. While most of the narrative is told through a fast-talking VO who fills in the gaps and the occasional still panel, the actual fights are played out in-game. Each map contains various, secret challenges which result in "Treasure Events." Completing the challenge results in a small cut scene with some brief character development. If you're way behind on your One Piece lore, they might help fill in the gaps as to why certain characters are behaving as such. The animated cutscenes (of which there are not too many, not too few) drip with the stylization of One Piece. The game looks great largely in part to the slavish devotion to the source material. Of course, if you find the look of One Piece abhorrent then you'd best look elsewhere. I personally enjoyed the oldschool anime vibe it brought. For the few folks out there unfamiliar with a Musuo game, the concept is simple: you and your co-op buddy team up to defeat massive armies and claim territories. Both armies have standard soldiers and hero units which direct the tide of battle. Capture a territory and your homies spawn there. Regular forces will continually assault your positions in an effort to take them, though the basic soldiers possess the constitution and brainpower of faberge eggs. Hero units, however, wield the collective might of the cosmos, and can obliterate any number of the regular fodder guys as though they were nothing. Getting 3,000 kills under your belt in a 15 minute session is pretty standard. The One Piece coat of paint on this particular series works really well. Anime/manga heroes are some of the most hyper-powered figures in fiction, so it makes sense that a kid could wade into an ocean of rival pirates and lay waste to their entire fleet without breaking a sweat. 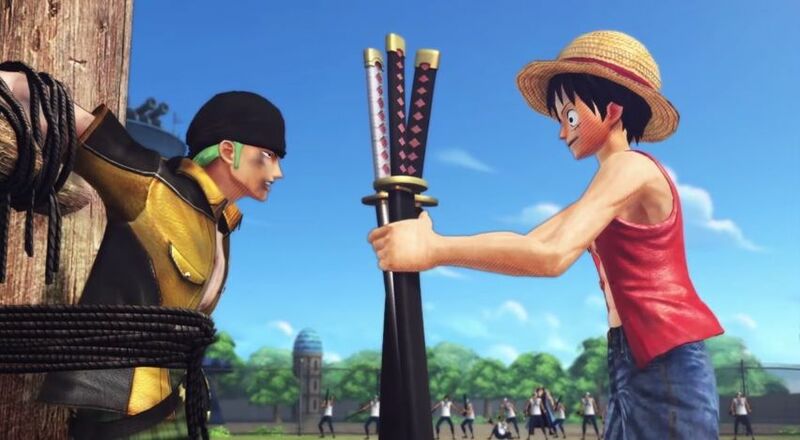 The big rift between One Piece and Warriors games come into place, which are all grounded in some kind of reality. Your team during the main story consists of your wacky collection of homies, all of which act in what we will refer to as "anime physics." Anime physics dictates that your team can pretty much do whatever they want on the battlefield, regardless of realism, in the name of spectacle. The main character, Luffy, can stretch his body like rubber, meaning his attacks launch him into an insane flurry as if a Stretch Armstrong snapped and went postal. Another character, Zoro, wields three katanas; one in each hand, and the third in his mouth. One of the craziest examples of anime physics is Ivankov. One of his combos literally makes his head explode in size and deal damage to an area around him. I'd love to see Cao Cao do that. Page created in 0.9496 seconds.